What the heck is "Monochromatic"
Hello Friends. It seems like everyone is in full swing this month finishing up projects from the winter season. I had a lovely email from one of the Timmins quilters who shared with me a photo of her finished Hunter’s Star quilt. Margaret took part in the weekend workshop back in the fall of 2015. It is so nice to see the work everyone has put into their creations. I love her barn raising layout. There have been some new quilts started and finished as well. After seeing the “Starlight” quilt I made for one of the girls in hubby’s office last Christmas, Garlene fell in love with the pattern and has made her quilt in mauves and purples and added the pieced border which I opted not to do on mine. Take a look at how different the two quilts look side by side. What a difference fabric selection makes. So I thought I would see if I could shed some light on the subject of colour and through the next few posts demystify the colour dilemma. Let me first introduce you to my favourite tool. I do not like or know how to use a colour wheel. However, I love my 3-in-1 Colour Tool, by Joen Wolfrom. This tool looks like an array of paint chips that include the colours of the colour wheel: blue, red, yellow, green, orange and violet or purple. Locate your fabric colour on one of the card chips. The back of the colour cards provides you with a selection of colour schemes to choose from. There are some really big words in this section so I will go through them one by one. The first is “monochromatic”. A monochromatic colour scheme means using fabric which are all the same colour. For example, a quilt made from all red fabrics (not counting the background as a colour). You could use all the same red fabric or a variety of reds, but all fabrics are red none the less. We also call these quilts that use one colour and a background “two colour” quilts. Colour wise, monochromatic quilts are the easiest to pull together. Now go look in your stash and make a monochromatic block. Hmmmm! We will leave it at that for now. I will cover more next time as we continue to demystify colour and terminology. With the days rapidly flying by I wanted to remind you that the Rayside Balfour Quilt show is on April 22nd and 23rd. I plan to pop by for a visit and see all the lovely quilts on display. Also, the Northern Neighbours Workshop in Trout Creek is fast approaching. A big shout out to all the quilters attending and I'll see you soon. A big event at the end of the month for our northern communities, with the Quilt Day 9 event in Englehart. I’m coming and with bells on, I know that we will have a hoot of a good time. Just a reminder, Registration for the Northern Ontario Quilting Symposium with Kathy Wylie closes on the 19th of April. The Sunday Apliquick class is full but there are still spaces left in the Saturday Hexie class. Tickets will be available at the door for the Trunk Show if you find yourself free Friday evening. We would love to see you there. So, a busy couple of weeks here in the north, as our weather starts to warm driving becomes bearable once again! Thanks for dropping by. Until next time, stay safe, happy spring and watch out for deer. Hello Friends! I am declaring May my month to get organized. I have been traveling so much in the past few months that it feels like someone dumped my filing cabinet over. So I will start by getting you all caught up with what has been going on since April! I will begin by telling you about the Northern Neighbours weekend workshop that was held on April 10th to 12th. It was a glorious weekend spent with 26 lovely quilters from all over Northern Ontario, learning new techniques and creating wonderful quilts. 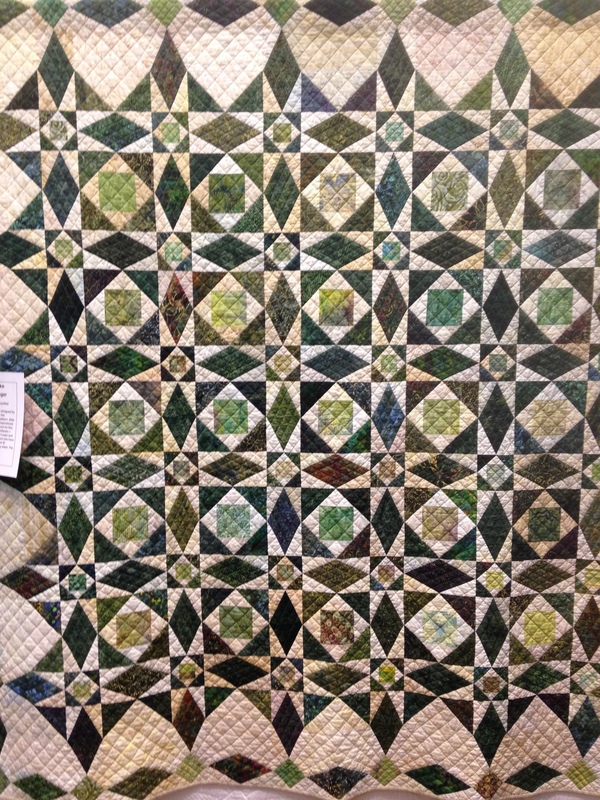 The quilters were able to get a fair amount of leaf blocks completed and learned all the necessary steps to complete their own quilt projects. Everyone was ecstatic to discover how easy it is to get pointy points with the help of their Studio 180 tools! – Told you so! Now back at home, I have a few quilts to long-arm for customers as they get ready for Quilts On The Rocks - the Sudbury and District quilt show on October 3rd and 4th 2015. Bookings are coming in for the fall of 2015. It is surprising how a few weekends there actually are when one starts filling up the calander. I did manage to book the weekend for the next Quilting by the River workshop and the date is: Saturday, October 31st and November 1st 2015. Save the date everyone! I haven’t settled on a project yet (I wish I could do them all!) but thought I’d let you in on the date so you can mark if off on your calendar. With the long weekend coming up, We will be off to the cottage (or ‘camp’ as we say here in Northern Ontario) and I may finally get some bindings stitched on. Bring on the SUMMER!!!! I would like to take this time to wish all the Quilty Moms out there a super, wonderful Happy Mothers Day. Until next time...Stay safe, wear sunscreen, and create something new! There's always something brewing in the studio, and this past week I announced the next Quilting by the River Workshop. 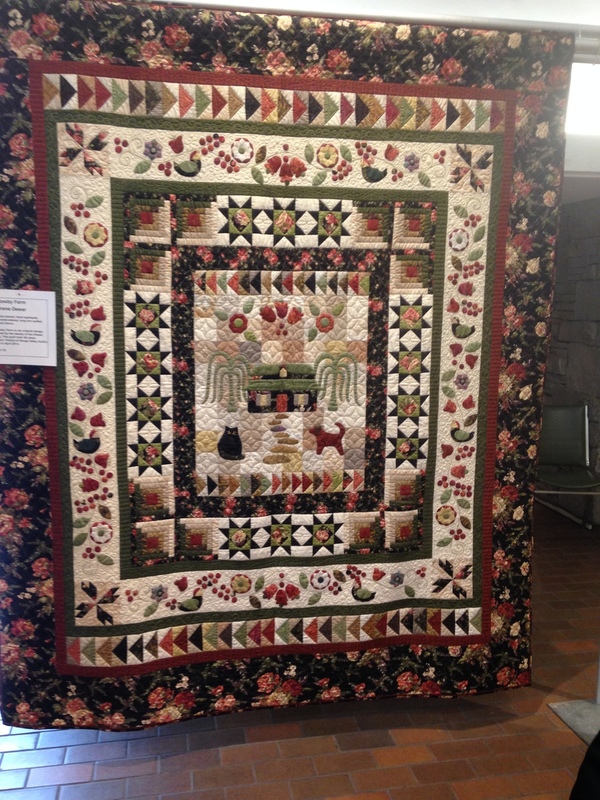 Northern Neighbours, a quilt by Deb Tucker and Studio 180, will be the project for the weekend. 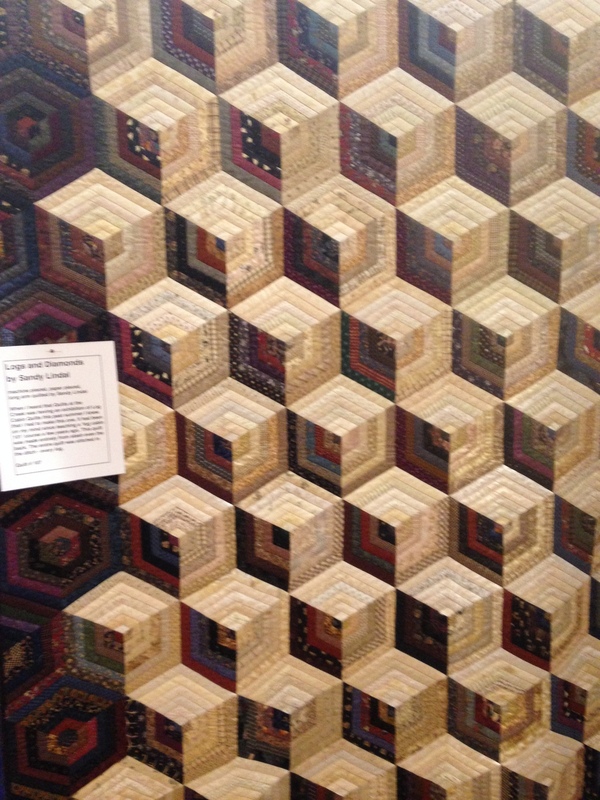 The quilt is so captivating, your not going to want to miss out. Click here for more information. That about wraps it up for now. With the holidays fast approaching, remember to set time out for sewing your own gift projects. Thanks for dropping by. Until next time, be safe stay warm and watch for ice!